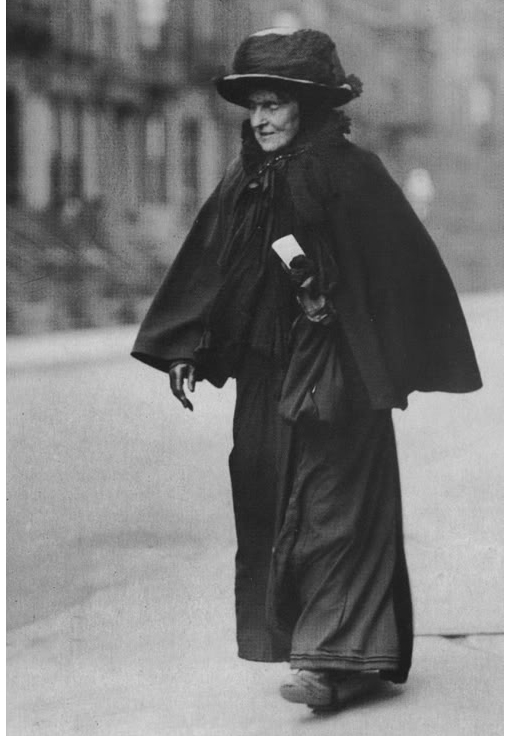 The "Witch of Wall Street"
Long before the likes of Warren Buffet, Hetty Green dominated Wall Street through extremely shrewd investing, frugality, and exploiting the lax investment rules of her age, managing to amass one of the greatest fortunes in history. Hetty, born Henrietta Howland Robinson in 1834, was the daughter of Edward and Abby Robinson. The family first made their fortune thanks to Hetty’s great-grandfather who went to sea as a whaler. Within two generations, the family under the guidance of Hetty’s father and maternal grandfather amassed one of the biggest whaling fleets in North America, with her father increasing the family fortune twenty fold in his lifetime. Hetty’s business education started early at the tender age of six years old, reading the financial news to her maternal grandfather, Gideon Howland, whose failing eyesight prevented him from doing it himself. During these readings, her grandfather also discussed what she was reading with her. Two years later, Hetty opened her first bank account. Shortly thereafter, she began investing her allowance. By 13 years old, she took over management of the family bookkeeping, which was no small thing considering the many business deals her father was involved in. Needless to say, between helping her grandfather and father in their respective business dealings, Hetty was receiving a first class education in the world of business. As she exited her teen years, her father was more interested in seeing Hetty married off than becoming a successful businesswoman, so purchased a $1200 wardrobe ($30,600 today) for her to wear around Boston and New York to attract wealthy men. Hetty was “a good looking woman… [with] angelic blue eyes” so this wouldn’t have been a problem, but she had no interest in it. Upon receiving the gift of the wardrobe, Hetty promptly sold off the clothing and invested the money from the sale. While she did well for herself with these small sums, her “seed money” really jumped after the death of her father when Hetty was 30 years old. Hetty had previously been supposed to inherit much of her mother’s estate upon her passing, but her father took most of it for himself. Rather than risk losing out on being the heir to his more significant fortune, Hetty took it in stride and did not bring a lawsuit against her father. She didn’t have to wait long for the money. Her father died just five years after her mother, bequeathing his entire estate to her, which at this point had risen to about $5-$7 million ($75-$105 million today). She promptly took the money she had instant access too (much of it was left in a trust for her to draw from annually) and invested it in the highly risky (or so others thought) U.S. Civil War bonds. Thus, Hetty challenged the will, even going so far as forging a new one that stated her aunt’s fortune should be left to Hetty. In the end, Hetty lost the case of “Robinson v. Mandell” with the court determining the signature on the will was a forgery. However, in the end, Hetty was able to wrangle approximately $600,000 out of her aunt’s estate. In the interim, Hetty married a successful businessman, Edward Green, in 1867, but not before getting him to agree to keep all finances separate and that neither of them was entitled to any of the others’ money. The fact that Hetty had tried to swindle away her aunt’s estate via forging a will didn’t sit well with a few of Hetty’s cousins. To avoid the legal troubles that were headed her way, Hetty and her husband moved to England. 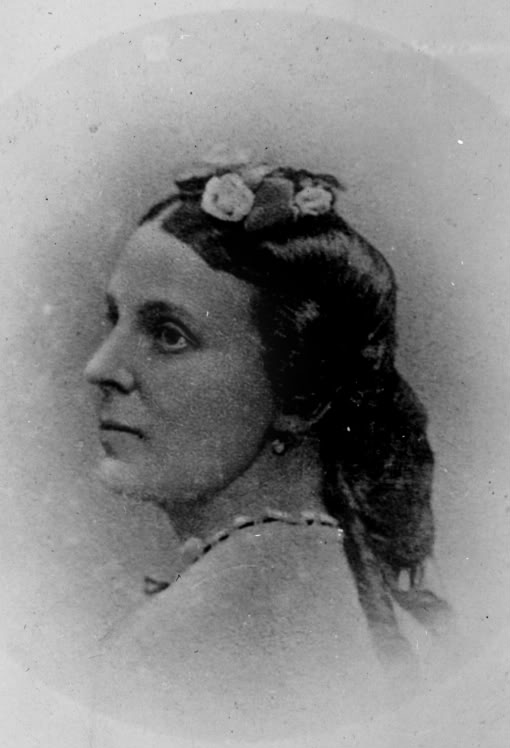 While there, besides increasing her already vast fortune by continuing to heavily invest in the United States (this time investing in greenbacks and railroads in the U.S., and later in U.S. real estate mortgages, among other things), Hetty also had two children, Edward “Ned” Green (1868) and Harriet Sylvia Green (1871). Once the statute of limitations was up on her former legal problems, the Greens moved back to the United States in 1875. In 1885, it was discovered that her decision to keep her finances separate from her husband’s was a wise one. Hetty staunchly practiced principles such as always keeping large sums of cash in reserve; investing heavily when others were being conservative; cashing out when everyone else was bullish (rarely hanging on to investments long term, selling as soon as something hit the price she had originally been looking for when she bought it); never accumulating any debt; keeping a cool head in any crisis; and incessantly researching any investment before making it. Her husband went the other way and primarily speculated, not afraid to borrow money to up his potential gain in his high risk investing. Up to this point, Hetty had exhibited savvy investing skills, along with a bull-dog like business demeanor (fending off many an attempt by groups of investors to ruin her, often ultimately ruining them in the process). But after separating from her husband, she added in a slew of eccentricities, and the public ate it up. It’s difficult to separate the myth and exaggerations from fact, particularly as she was a woman who’d become wildly successful in business in the 19th and early 20th centuries. This was something not appreciated by many powerful businessmen; so negative rumors about her, probably generally baseless, were rampant. That said, a few peculiarities that are backed up with a reasonable amount of documentation include that she constantly moved from district to district in an effort to avoid having to pay taxes in a given district, generally living in the cheapest housing available despite her fortune. She also reportedly often used her dog’s name on the records for her lodging, so as to further throw any tax collectors off the scent. In addition to that, when her son injured his leg at nine years old, rather than use her fortune to get him the finest medical care available, she initially took him to a charity hospital. However, contrary to what you’ll often read, she later did take him to other doctors as he continued to have leg problems for a few years. Ultimately, the leg became gangrenes and it had to be amputated. Beyond not liking to spring for medical care, she also reportedly completely neglected personal hygiene, and rarely washed or changed her clothes. Particularly in the summertime, the media frequently reported that she stank. They also reported that she constantly haggled over the prices she had to pay for anything, and whenever possible refused to pay if she could get away with it and keep the item or still acquire whatever service. Perhaps one of her most famous tales had little to do with her legendary stinginess. In this case, it was a time when she pulled a gun on railroad tycoon Collis P. Huntington. Huntington was upset with the exorbitant prices Hetty charged for small, but critically located, railroads she’d acquired. So he decided to try threatening her. Specifically, he reportedly threatened to have police and judges that were on his payroll have Hetty’s son imprisoned. Rather than giving in, her response was to simply pull her gun out. This is perhaps not surprising given Huntington had made the mistake of threatening the only two things Hetty seemed to care about- her money and her children. While exact amounts aren’t known precisely, it is generally estimated that for her pre-three ghosts, Scrooge-like life, by the time of her death on July 3, 1916 at the age of 82, Hetty had amassed a fortune of just over $200 million (about $5 billion today). While she had groomed her son to take over her fortune, teaching him everything she knew about investing, he didn’t inherit her frugality or aversion to giving to charities. He spent and donated lavishly and despite savvy investing as well (even weathering the Great Depression mostly unscathed), by the time of his death in 1937, his fortune hadn’t risen at all, still about the $100 million he inherited from his mother. This all went to his sister, Sylvia, to add to the $100 or so million she’d inherited from Hetty. Sylvia lived to 1951, ultimately leaving her entire estate of about $200 million (about $1.7 billion today) to various charities, hospitals, universities, and churches. So, in the end, despite Hetty having been loath to spend, let alone give, away a dime of money she didn’t have to, a large portion of her amassed fortune ended up going to charity thanks to her children. Hetty wasn’t universally cheap. One of the rare instances where she decided to loosen her purse strings was for her daughter, Sylvia. Not only did she temporarily put her up in an upscale hotel, but also provided her with a fine wardrobe, all in an effort to find her daughter a good husband (one that wasn’t simply gold-digging), which she ultimately did in the great-grandson of John Jacob Astor I, Matthew Astor Wilks. Wilks came to the marriage with $2 million of his own money. A paltry sum by Hetty’s standards, but enough that she was convinced Wilks wasn’t just after Sylvia’s inheritance. Of course, she also made Wilks sign a pre-nup stating he’d not be entitled to any of Sylvia’s inheritance. Hetty also sprung for the wedding. Suitable for the stations of the families involved, it was a lavish affair. As for her son, Edward (known by Ned), she also wasn’t always cheap with him. She sent him to law school, then slowly began allowing him to manage some of her investments in order to continue the training she’d began with him at a younger age. He was successful at this in the various cities she sent him. After seeing this, she allowed him to use some of the money she gave him to manage to put himself up in fancy hotels, as well as pay for his live-in prostitute Mabel Harlow (who lived with him for the rest of his life) and the steady stream of women Harlow managed to procure for him. Hetty thought this arrangement a good one as she felt it helped shield her son from the influences of the various gold-diggers who were after the family fortune. As his success in business grew, she called him back home to manage her main investments in New York, and didn’t complain when he once again set himself up with Mabel in a extravagant townhouse. While Ned kept his promise and didn’t marry while his mother lived, as soon as she died, he married Mabel, with a pre-nup stipulating that she’d get $1500 per month ($25,000 today) for the rest of her life. Being married changed nothing about their relationship though; she still continually found him a steady stream of teenage girls to serve as “private secretaries.” Essentially, he’d grant each girl a trust fund and pay for her education. In exchange, for the duration of the girls’ schooling, they would stay at Mabel and Ned’s home in Dartmouth on the weekends. After contracting pneumonia at the age of 77 in one of her “cold-water,” cheap lodgings, Hetty finally relented and sought out better accommodations. Even still, she worked out a deal where she wouldn’t have to pay any more for the nicer room. She simply moved in with her son, agreeing to pay him the paltry amount she’d paid at her previous lodgings. Among many other education-based charitable contributions, Ned funded the building of a radio transmitter by Dartmouth College which was used to communicate with Richard E. Byrd as he explored the Antarctic (1928-1930). Later, after Sylvia had inherited the estate, she donated Ned’s Round Hill house to MIT. Scientists at MIT used the grounds for such things as building a prototype atom smasher. Just before he died, Hetty’s father told her he had been poisoned and it was likely those who poisoned him would do the same to her. Very interesting article! I’ve never heard of Hetty Green before. I really like your blog to learn more about things I didn’t even know they existed 🙂 Keep going!